Mene & Moy Face & Body Cleanser containing 15% Glycolic Acid is particularly suitable for oily and acne prone skin and sun-damaged, thickened skin. 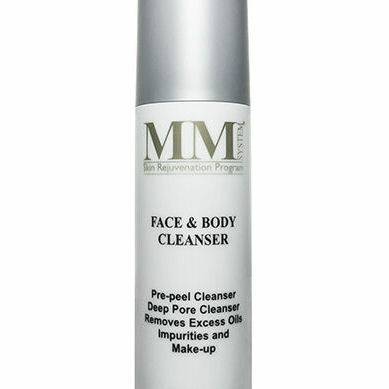 This cleanser has been developed to be used on all types of skin. It removes dead cells & oiliness, leaving the skin smooth & clean. Use for treatment of acne, oily skin and open pores. 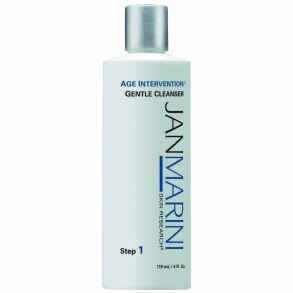 Wash-off cleanser containing 15% glycolic acid for body and skin already accustomed to glycolic acid. Apply once or twice a day as part of your normal skin care regime. Apply evenly over the face and body, lather in your hands and wash off completely. Suitable for all skin types but particularly acne-prone and oily skin. For acne-prone skin, apply Revitalising Gel afterwards. Use a sunscreen all year round when using products containing alpha-hydroxy acids. Products that contain AHAs (alpha-hydroxy acids, such as glycolic acid) work by gentle exfoliation of the skin and removal of the outer dead layer of skin cells. This resurfacing can initially result in flaking, peeling, irritation and redness. This generally improves as the skin acclimitases to the product, however, if the reaction is too much, try using the product less frequently and if the reaction is severe, discontinue.